I feel like picking on processed “health” foods today. Let’s see…. Kashi is almost too easy, and Diane over at Balanced Bites has already ranted about that. I love the commercial where they talk about how their cereals have as much protein as an egg! Also, you are getting plenty of sugar with your “protein” (which is actually soy protein, big processed UGH that can actually contribute to harmful hormonal issues). Why not just have the egg? You know what I feel like ranting about? Speaking of soy, I always love a good soy rant, but you can read all about that here. I feel like ranting about “gluten free” products. 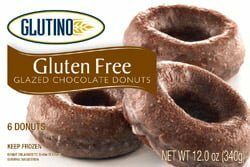 Gluten free has swept the nation with its fancy claims of better health and weight loss, and naturally, the food industry wants to capitalize on The Next Big Thing. People assume anything gluten free is healthy, and that they’ll just swap out their bread, pasta, cookies, and cereal for gluten free versions. Folks, this is all wrong. I sound like a broken record when I tell my clients: going gluten free does NOT mean switching out all the refined foods you once ate to “healthier” gluten free options. But why not? If it’s gluten free, it must be healthy, right? WRONG. Just because a product has gluten free stamped across it does not mean it’s healthful. In fact, it’s most likely not (and don’t get me started on my spiel about packaged foods in general….) 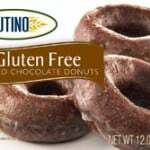 Many gluten free products are high in sugar, use unhealthy oils such as canola, use processed ingredients, or are cross-contaminated with oats or other grains that are just as harmful as gluten (meaning they cause inflammation and digestive problems) and may actually contain trace amounts of gluten. The point about going gluten free isn’t to conveniently replace everything you were eating with gluten free options. These foods use grains and sugar and other ingredients that are just as irritating to the body’s tissues and digestive system as gluten. Going gluten free means that you make your diet a plant-based diet and focus on whole foods rather than refined, white flour, or “whole grain” foods. We’re taught to believe that grains should be the staple of our human diets and that grains provide fiber and necessary vitamins and minerals and antioxidants. A grain-based diet also brings with it weight gain, gas, bloating, sugar cravings, fatigue, and brain fog. You wouldn’t eat eggs at every meal, right? Then why have bread, pasta, tortillas, muffins, scones, or crackers at every meal? Now, I’m not saying everyone who eats grains (yes, even healthy brown rice) will suffer with these maladies. But if you’re already going gluten free, it’s likely you are interested in correcting your digestive issues, fatigue, bloating, etc, or have a sensitivity to gluten. If you go gluten free and don’t feel any better because you are still using gluten free breads & pastas, rethink your strategy. It’s likely you are sensitive to all grains, even rice and corn and oats, the grains that are used to make gluten free products. Try focusing on lots of veggies, starchy root veggies, good fats like coconut oil, butter, and olive oil, and organic proteins and watch your digestive woes disappear. Thanks for this post. It is amazing how effective good advertising is. I for one believed that gluten free was the way to go.